We earn the trust of our customers and guarantee to provide our services with the highest satisfaction. Our goal is to deliver your love and make both the recipient and you smile with happiness. We are honest and reliable and we have more than 10 years of experience and professional skills in the business of flower and gift basket delivery in Mongolia. 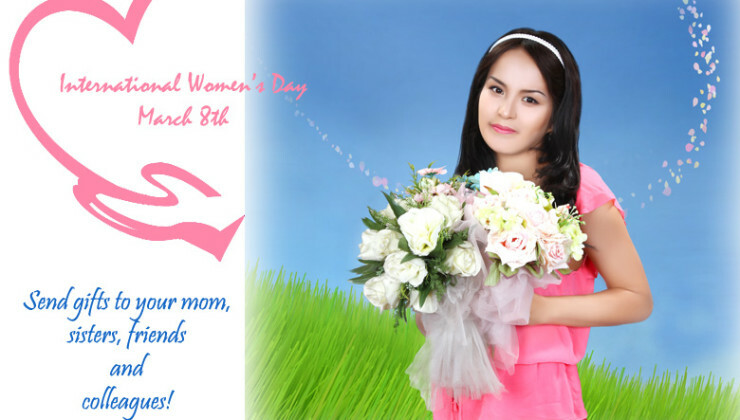 International Women’s Day is widely celebrated in Mongolia every year on 8th of March. It is celebrated as Mother’s Day as well. And everyone sends gifts to his/her mom and sisters. It is common that guys prepare gifts to all the female colleagues at work and business associates. Take a look at our great selection of March – 8 gifts. We promise you will find something they would like. Mongolia is official partner country of ITB Berlin 2015. Welcome to beautiful Mongolia! Happy New Year of the Sheep! Сайхан шинэлээрэй.